These babies are by Missoni. Not sure what season they are, but they are definitely desired. Hope you are having a fab Thursday!! 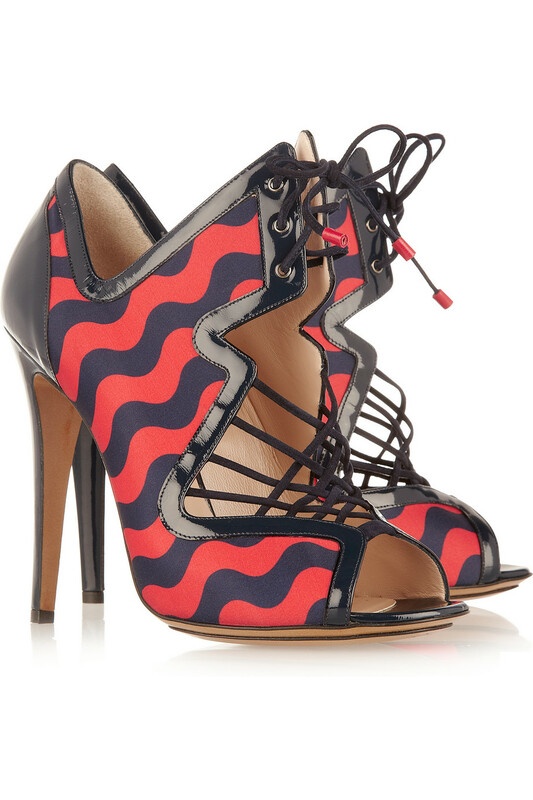 This entry was posted in Shoes, Shopping, Style and tagged Missoni, shoes on February 21, 2013 by thelookbookphilosophy. I would love to throw these on with a pair of black skinnies and a killer off-the-shoulder top . . . . A great printed skirt, a tank and layers of jewelry would look great with these shoes as well. I could do so much with these!!! It makes my mind race!! 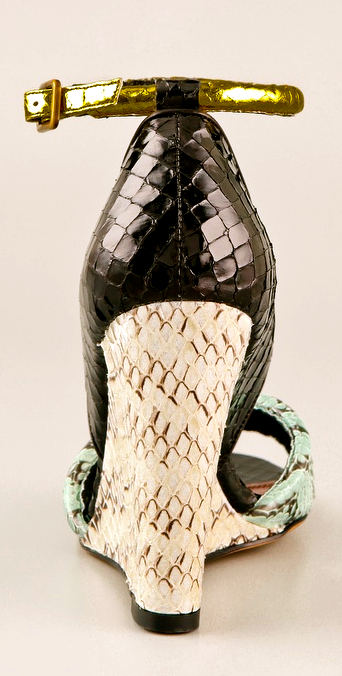 This entry was posted in Accessorizing, fashion, Style and tagged Nicholas Kirkwood, patent leather, sandald, satin, shoes on July 9, 2012 by thelookbookphilosophy. 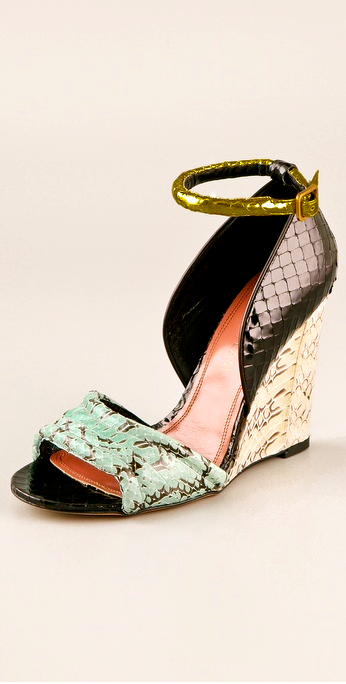 Umm, seafoam green + black + white + gold . . . Match made in heaven!!! 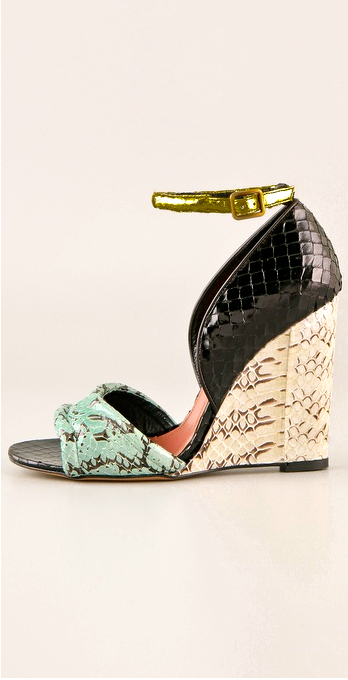 Derek Lam Bristol Wedge $850 here. 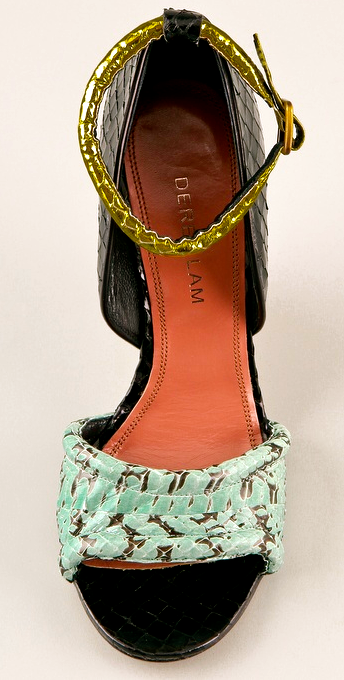 This entry was posted in Accessorizing, fashion, Style and tagged Bristol Wedge, Derek Lam, fashion, Seafoam Green, shoes, style, wedges on May 11, 2012 by thelookbookphilosophy. 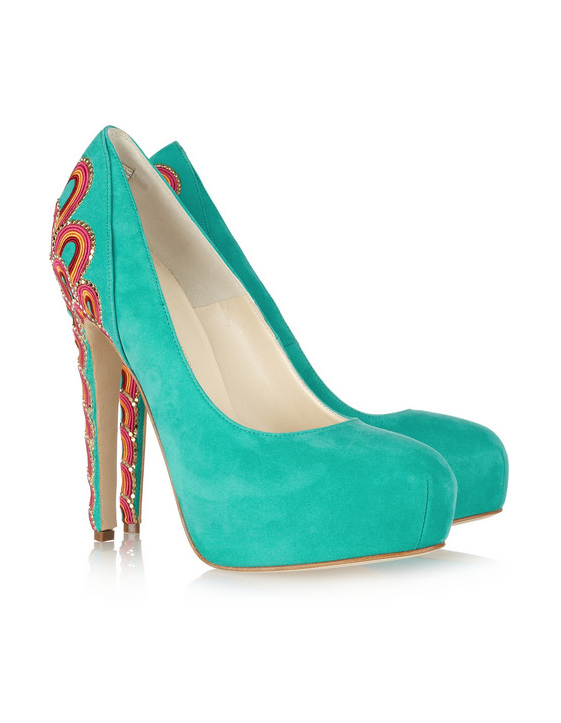 Brian Atwood Claudia embroidered suede pumps, $2,115 here. This entry was posted in Accessorizing, fashion, Inspiration, Shopping, Style and tagged Brian Atwood, Claudia Embroidered Pumps, shoes on April 28, 2012 by thelookbookphilosophy.